It seems that not even death can keep us from the drama! Blues singer and guitarist B.B. King passed on May 14, 2015, in his Las Vegas home while under hospice care. One of the greatest losses of our time in music. Many artists have contributed their musical styling’s to King and his famed guitar, Lucille. Born Riley B. 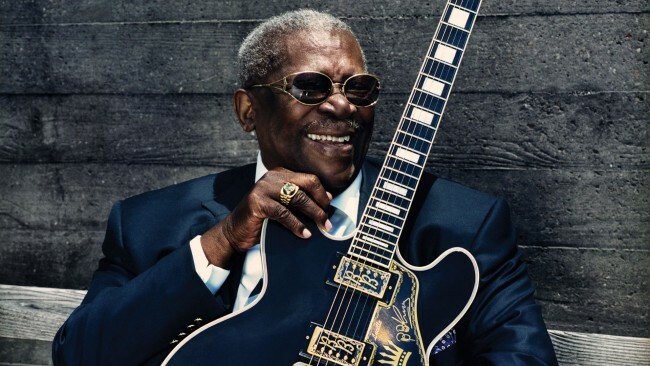 King, the musician had an illustrious career in the Blues Genre; garnering him induction into the Blues Foundation Hall of Fame, and later, the Rock and Roll Hall of Fame. However, with a great career and fan-saddening passing, his two daughters are making headline news as they are taking legal action to set things straight about their father’s cause of death. Patty King and Karen Williams are claiming their father was murdered by his manager, LaVerne Toney, and personal assistant, Myron Johnson. It is always the manager, right? In two separate affidavits, the sisters said they believed their father to be poisoned, in an effort to induce his death by diabetic shock. The singer had been quite ill for some time prior his death due to a series of small strokes. For many watching this drama unfold, it seems a bit odd that only two of the musician’s remaining 11 living children have been so pressed to file charges against Toney. However, sources say that Patty and Karen are not the only ones fighting. No criminal investigation was done at the time of King’s death. However, his body has since been taken from the mortuary to the coroner’s office for a toxicology report and autopsy. If, in fact, the full report garners evidence of foul play, then a full investigation will take place, said coroner John Fudenberg of Clark County, Nevada. It is always a hardship to have to bury a loved one, especially if your loved one was as famous as King was. However, many are still not convinced that the motives of King’s daughters are pure of intent. Fans have taken to social media expressing how much they feel that this is only a long, disrespectful, and wasted ploy for King and Williams to get money. The estate in question is allegedly valued in the millions. Giving both sisters (and any other siblings vying for a check) a pretty hefty sum of cash.